The AFA’s Flute Fiesta Competition Schedule has now been posted! I’m attempting my first ever STUDIO NEWSLETTER! I had a lot of information to tell all of you so I wanted to be sure to cover it in writing as well as verbally this past week. I have talked to mostly all of you about the upcoming Albuquerque Flute Association Flute Fiesta. 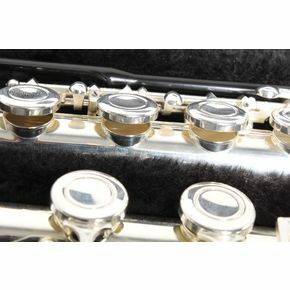 This is an Annual Event held in March that gives all Flute Students and Amateur Flute players in Albuquerque a chance to come together, play, learn and see the many things out there in the larger Flute Community. The AFA is a GREAT resource for flutist of all ages and my colleagues and I are working hard to make it better year by year. The organization as been around for about 27 years and the fiesta has always been its major event. We’d like to get our numbers up as an organization and contributing flute community to the larger Albuquerque Community. 1. If you haven’t already done so, PLEASE call Therese Macali. She will be our Accompanist for this event, if you are invited to play at the Winner’s Recital and our Studio Recital. She has all the piano parts for your pieces already. Her phone number is, 440-344-3011. Her email is trosescharf@yahoo.com. 2. Go to www.abqflute.com to register for the fiesta and pay membership dues. If you want, you can give me the paper copy and I can hand deliver it to our membership chair. 3. The competition schedule will be posted on the website. You can find out all information regarding the guest artist, Jennifer Keeney, and other presenter and performers of the day on the website. ALSO, Jennifer Keeney’s website is,www.jenniferkeeney.com. Check her out there. She is a super cool flute player and person! The Middle School Ensemble will be coming up with a group name at this week’s class. YES this week Sunday February 17th, 4-5:30. We will have the second of the M.S. Flutes Masterclass! This was a great meeting last month. All students are welcome even if they missed the first class! The High School Ensemble was beat out by the Superbowl. But we will meet on Sunday March 3rd, 4-5:30. Yes! this is the day after Flute Fiesta. The next major high school flute event will be AYS auditions. We will work on some ensemble pieces but start looking at orchestral excerpts as well! I’m looking to reserve the room for sometime at the beginning of June for our Studio Recital. If you and your family have any dates that are absolutely out PLEASE let me know ASAP. Father’s day and that weekend might be good, or the weekend before! Thank you for all you do! and I will see you all this week! On Tuesday January 22nd at 7:30pm, Flutist Danielle Frabutt will be presenting an entertaining musical program in a collaborative recital along with her Woodwind Trio Altura Winds (Stefanie Przyblyska, bassoon and Melissa Sassaman, oboe). Also joining her will be Santa Fe Pianist Debra Ayers, and Albuquerque musicians, Rachael Brown, horn; Alaina Diehl, flute; and Terri Reck, harpsichord. Altura Winds and Ms. Reck will be giving the Albuquerque premier of the piece, “Sojourns” by local composer Daniel Davis. Admission is by donation and the recital will be held at the Keller Recital Hall on the campus of the University of New Mexico. More information can be found at www.daniellefrabutt.com or by emailing Danielle at frabuttflutestudio@gmail.com. Attention all High School and Middle School Flute players! Flute Instructor, Danielle Frabutt, will be starting her spring semester of Group Lessons at Apple Mountain Music. Classes are once a month for 5 months with an opportunity to play in her Spring Studio Recital in June. The Middle School Flute Class will start January 20st from 4:00-5:30 and will meet every third SUNDAY of the month till May. The High School Flute Class will start on February 3th from 4:00-5:30 and will meet every first SUNDAY of the month till June. The cost per class is only $20 and we will focus on building musicianship, ensemble etiquette, and leadership skills in an ensemble setting. Supplemental to both school bands/orchestras as well as private lessons, this class is a wonderful way to nurture and propel your musical talent!